With Karl W. Palachuk (CEO Small Biz Thoughts, author, blogger) and Manuel Palachuk (CEO Conceptual Age Consulting, author, blogger). In addition to writing The Network Migration Workbook, we have worked together for seven years and developed some great "best practices" that are serving us well as we prepare for the SBS End of Life. This seminar is part of the SMB Nation Preday Events. SMB Nation's Fall Conference is October 12-14 at the Rio in Las Vegas. Early bird pricing is now in effect at http://fall.smbnation.com/. This event is not associated with SMB Nation itself, but we have worked with Harry for eight years to put on some kind of preday event. This year's topic is extremely timely and important: What do next! The clock is ticking on SBS and you need both a business plan and a technical process for moving from SBS to the Next Big Thing. This seminar is all day -- 9:00 AM to 4:00 PM -- and includes lunch, snacks, and coffee. One session will be on business model considerations for moving to stand-alone servers, cloud services, and hybrid combinations. Three sessions will cover the technical click-by-click of moving to other services. And OF COURSE we'll show you how to do this with Zero Downtime. More details are at http://www.smbpreday.com. Karl W. Palachuk has been an I.T. consultant in Sacramento, CA since 1995. He has built several successful companies, including a managed service business. He is currently the Senior Systems Engineer at America's Tech Support. He has experience running support services for companies from one person to some of the largest companies in the world. 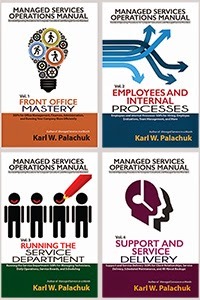 As a leader in the development of network documentation and managed services, Karl is a very popular speaker in the SMB Consulting Space. Karl is the author or co-author of nine books and several blogs. Manuel has over 25 years of business, management and training experience in the computer and electronics industries. He is an expert of process, systems, and their efficiency who is driven toward continuous improvement in all aspects of business. He is a well-known author in the IT consulting community for Small and Medium Businesses. He is an experienced speaker and trainer at industry conferences. Manuel is the co-author of the Network Migration Workbook, an expansive 530 page document covering the complete processes and checklists required to migrate your network with zero downtime. 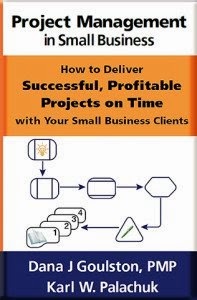 Manuel is currently writing Getting to the Next Level: A Blueprint for Taking Your Managed Service Business to the Top.